This interview was conducted in French by Vie Economique and translated to English by Space in Africa. Gabon is one of the few francophone countries in Africa with a space program. 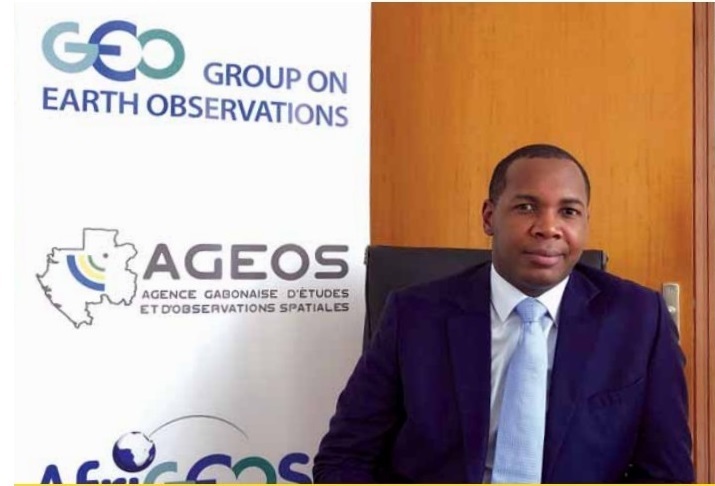 In this interview with Mr Tanguy Gahouma Bekale, the General Director of AGEOS; he discussed the formation of AGEOS, funding source and how the agency is capitalizing on space technologies to solve national problems. How large is the area covered by your remote sensing centre and what countries are monitored? Before getting to the details of the subject, it is important for me to describe the position of AGEOS in Africa. We are talking about the second most important continent in the world after Asia. Sub-Saharan Africa has 85% of the African population and the demography is proving that we will be the most populated continent in the coming centuries. Gabon is in the centre of this area and AGEOS covers a radius of 2800km. Its geographical position is unique and ideal. We are on the heart of the Congo basin which is the second most important forest around the world after the Amazon. The AGEOS monitors integrally 17 countries which are Gabon, Namibia, Angola, RD Congo,Burundi,Rwanda, Sudan,South Sudan,Center Africa Republic, Cameroon, Congo, Equatorial Guinee, Nigeria, Chad, Niger, Mali, Burkina Faso,Ghana,Togo,Beni ,Cote d’Ivoire, Liberia,Sao Tome and 6 others partly. What is the mission of your space program? Our principal mission is to put in place an infrastructure of satellites data. In the space field, there is an ecosystem having a base of essential data exploitation. We are particularly working on the remote sensing aspect. Our mission is to support operators from all walks of life and to provide them with information. Our responsibility is to disseminate the use of satellite images and to do this, we regularly take images that we compile, put them on a platform with sufficient important data in order to enable users to download them on their smartphones. On the national plan and for the government, we must propose and follow a space development strategy. To get there, we went through 3 steps. The 1st investment cycle consists of creating infrastructure, make it work and to open information into the disposal. Meanwhile, we had to train 20 people to be operational. Currently, we are on a strategical study of the market of the 23 countries we are covering. We have confided this investigation to a specialized office which would indicate if it would be convenient to be positioned on other centres of interests in the near future, depending on the needs and the markets with strong growth. The objective of this study is to analyze the opportunities for the activity of the AGEOS while qualifying their feasibility. The relations with the public sector and private actors of the space field out of Africa. We are also working on the development of a weather station. With the Pacific, Africa is one of the two regions not covered by the network service of advanced retransmission of the international Weather organization. When we examine the contribution of the satellite data in the polar orbit on the model of the international and regional numerical meteorological prevision, that gap has an impact on diverse applications, in particular on the reduction of the catastrophe risks. In the context of the realization of the project of the African network of reception and disposal of satellite data for Africa (RARS), a project group was implemented by the AGEOS between the ACMAD and the Gabon which is part of the 4 countries ( Kenya, South Africa and Niger) hosting direct reception antennas of meteorological data. On the economic plan, on what basis was AGEOS built? AGEOS was born in 2007, its implementation was initially planned to be in RDC and to be financed by the World Bank. IN 2009, the non-realization of the project worried our new president Ali Bongo Ondimba who at the same time was hosting the France President, M Nicolas Sarkozy. The donation of 50million Euros subtracted from the debt contracted by Gabon from France served for 10million Euros (4575000m of CFA) to lay the first foundation stone of AGEOS whereas the state was allocating the land for a value of 3 million euros. The balance was spent on environmental projects. Today AGEOS is a public structure benefiting from the autonomy of administrative and financial management. Although the annual endowment is important, it is not enough to cover the integrality of the fixed charges. Our economic model is built around public endowments that have to ensure basic functions such as the purchase of data like satellite images, software, computers, etc. and we are working on 3 principal financing sources. On the first place, the sale of services among operators such as Comilog, FGIS for the construction of the kings bay, SEEG, petroleum companies… which means purely commercially contributing to the financing of AGEOS. We are having social responsibilities in regard to the importance of our coverage zone. We are regularly answering international bids among lessors looking for an investment with environmental goals, notably forest protection, hydraulic resources monitoring. These external financings cost 7 million euro/YEAR today. Finally, our last source of financing is really interesting but hard to perceive. Under the law of finance, a fee mechanism was introduced since 2018 aiming to perceive a low percentage of all the activities having an impact on the integrity of the forest exploitation in GABON: petroleum mines, forests, agriculture etc. This fee goes from 0.5 to 300 F CFA per hectare. In exchange, we take in charge the monitoring of the sites and ensure that their exploitation is confirmed. We contribute to the fight against illegal deforestation and other practices. It was not easy to win acceptance for this contribution request. For example, OLAM processes an exploitation license of 150000 hectares to produce palm oil but only uses 50000. In fact, consecutively with an arrangement plan that was elaborated after the acquisition of the exploitation license, we observe a good part of these spaces protected because of the presence of preserved animal species or preserved vegetal categories. We thus contribute to fighting against the illegal deforestation, against the illicit gold panning and other practices not admitted. If we take the example of the Nkok zone, some errors of environmental implying a massive replantation of zone initially cleared. We are working on the project of expanding ZERP (Zone économique à régime privilégié) which integrates the construction of the future airport. The cost of our work will be compensated by the value of the data that we provide and its impact on the project. Gabon is a territory of 267700km2 covered by 80% of forest with a population of 2 million inhabitants with 75% living in Libreville. Our mission enters the strategic plan of “Gabon Emergent” which includes economically sustainable development and environmental protection. What is the nature of the partnerships signed with the countries you monitor? Initially, the goal of the Gabonese authorities was to favour the rise of a new market and new technology, in this objective, the cost shouldn’t have been the barrier. We decided that all that AGEOS had for free should be reallocated for free. In the end, we only get remunerated for the added value of our services. This economic fashion is inspired by the Brazilian model. Gathering images. Gabon does not have a satellite. All the observation images with a sensitive character such as military or else are simply collected. Data supply, for example, Rwanda seeks us to monitor their territory the same way we do with ours. You are monitoring a very important zone of the continent, are you providing data with a military component? AGEOS is a civil agency that is not implicated in this field. However, we are concerned by the illicit exploitation of the maritime zones. We furnish data about operations such as illegal fishing, also the protection of Oil hubs, illegal transportation of people, etc. We developed a system for this kind of missions. We are covering 5 prior zones around Owendo port, Port-Gentil, the south zone of Mayumba in the Gabon/Congo border, the Tuna fishing zone and the Corisco Bay islands of Equatorial Guinea. Our collaborators are from 3 backgrounds. We have a big antenna allowing us to get data. To transmit this data, we work with telecom engineers. We have to put data in disposal, in this case we would need data/ IT engineers which administrate the geo-portal and monitor the internet capability to make it as optimal as possible and as secured as it can be to keep the confidentiality of the data. Finally, we work with remote sensing engineers. They decrypt measures and images. Back when we created this agency, those professions did not exist in Gabon. Our partners were concerned, particularly the antenna provider. We selected young Gabonese graduates, bac+5 detainers, in engineering and electronics who learned manipulations due to a supplementary training delivered by professionals. 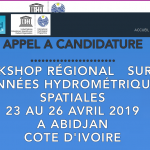 Regarding Internship, we share public calls in March-April of each year and work in partnership with universities in South Africa, Morocco, France and the USA. We send tens of people holding a bachelor’s degree for training to get a master’s in 2 years. And then, they go for trainings at centers we are collaborating with. This is efficient because today, one of our early students, Ms Vanessa OVONO ANGOUE who was trained at NASA, delivers a course at CRTS in Rabat while working for AGEOS. After a bachelor degree in Economics and politics from Montreal University, I went to Paris to pursue a master’s degree at L’Institut Supérieur de gestion en audit, and then worked for 3 years at a consulting office. Then I decided to invest in an MBA in sustainable development and operational management for 2 years before coming back to Gabon. AGEOS was being constructed at the same time, with a major goal regarding engagements made in the Paris act to get to the sustainable development objectives in 2030.